I’m just putting this here because I was so satisfied that I could do this with one line in Powershell instead of a whole lot more in DOS or VBScript. List all subfolders in a folder with a depth of one (all folders only in the first level of a directly) to a file and sort everything nicely. 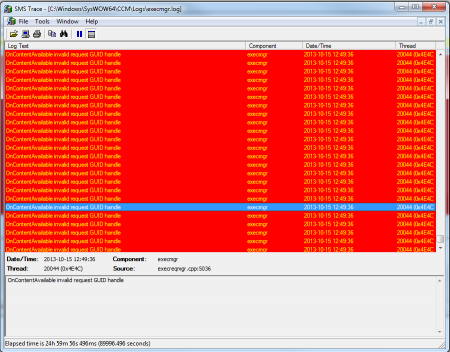 You need Powershell v5 or you’ll get an error from some of the parameters. 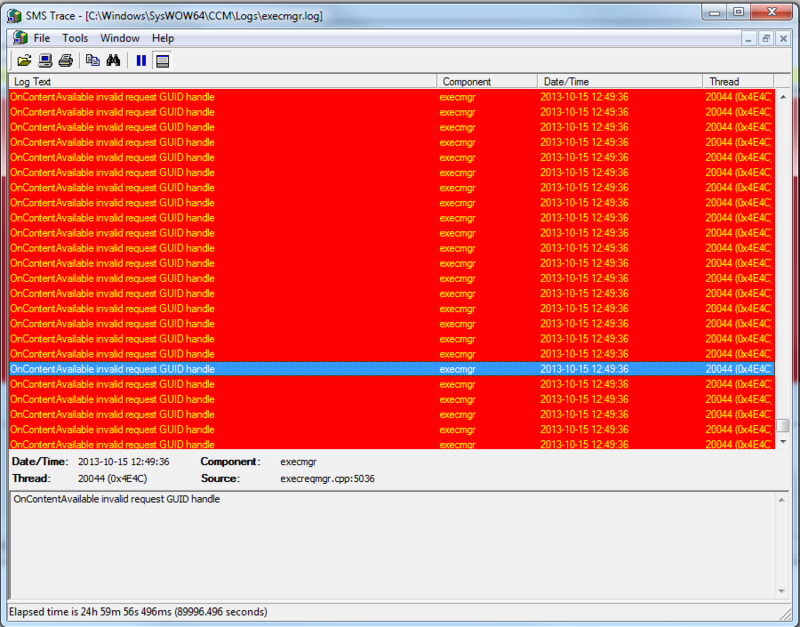 Get-ChildItem -Directory -Path "C:\temp" -Recurse -Depth 1 -name | Sort-Object |fl | Out-File -FilePath "c:\temp\test.txt"
In System Center Configuration Manager 2012 Release 2, Service Pack 1, Cumulative Update 1. There is a bug. If you try to do offline servicing to a Windows 10 Operating System Image (also known as a Scheduled Update) there will be exactly zero visible software updates in the console to apply to the image. It’s annoying but it takes only 30 seconds to fix. But why does this happen? I’ll show you! Sometimes what seems so easy turns out to be a little bit more complicated. 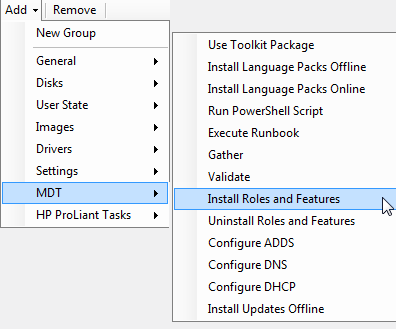 If you install the MDT-extensions for SCCM 2012 you will get the excellent option to add roles and features. It turns out that only .Net Framework 4.5 will actually install and not 3.5 if you’re installing Windows 8 / Server 2012. The media is on the source media (*.iso/DVD) but not a part of Windows by default. A lot of people use a Task Sequence to deploy applications after the Operating System has been installed. A customer of mine had an incident where the TS hung because Hotfix KB2761938 wasn’t installed on the clients. This stopped the clients from receiving applications. Except for installing the hotfix on the clients there’s a pretty easy fix for this. Isn’t it annoying when a customer has a “bad” AD-structure that makes it impossible to run user-discovery or system discovery often enough? By “bad” AD-structure I mean putting computers or users for an entire organization in one OU for example. The drawback of not being able to run User/System-discovery often enough is that users will have to wait for their applications after the computer is installed since SCCM doesn’t know about the group memberships until the discovery tasks are run. Show->Export List to export all packages in a folder. BUT. There seems to be a limit to maximum 500 packages so you will not get all packages in your folder if you have a lot of them. AND maybe someone in management want the report as a webreport too… So here are the three things you need to do. 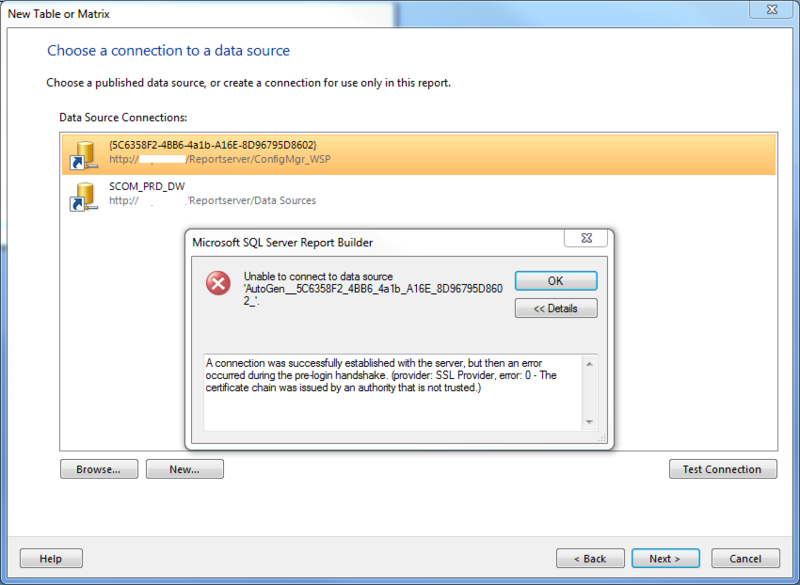 With Windows 7, creating a report in SCCM for all your computers is really simple. First you need to expand your sms_def.mof file to gather the Bitlocker status data that is stored in WMI on your clients.